Yoyo Thank you, so I should only use ProMods in off line mode? sko0923 Thank you that worked, do I need to do that everytime I see no jobs? is there a permanent fix? 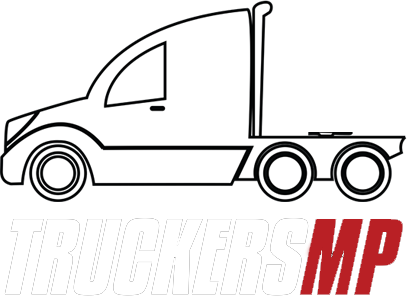 Also are ProMods supported at all in Truckers MP? Thanks, Fallen and MrHarv That worked. Happy Trucking. stilldre76, I cannot get into the game, everything is grayed out until I take a quick job, so how do I get to go to sleep.. Scania, The config file I have opened is in my documents, and I cannot see the above two lines. Is there another config file for the MP game or should it be in that off line version. Guy's I have played ET2 off-line for a long time have a garage and my own truck, works like a dream Yesterday downgraded, ETS2 and installed MP version no problems. Logged in early this morning, completed quick job in Amsterdam and Quit, had a trucker's breakfast, bacon, egg sausage, coffee, logged back on to MP to do some driving When I connected with MP selected the profile and quick jobs nothing. now I cannot see any quick jobs. Questions: How do I restore quick jobs for MP, I found this thread but it is not very clear to me: My questions are in bold Solution 1) Go to My Documents > Euro Truck Simulator 2 and find config.cfg file and: Change uset g_console to 1Change uset g_developer to 1Ok, I have done this. Launch ETS2MP and select your MP profile I did that.. and when you don't have any cargo/job, That is my problem press the ` button which will open the console and type g_force_economy_reset 1 and press ENTER. What button is this, it is the one below @ on UK keyboard?what is the console referred too? does this mean the main dashboard, where all the settings are, radio, world map, etc; if it is it did not work for me by pressing ' screenshot of console would be helpful, for newbies, trying to fix this problem. Then go back to profile screen and select the profile again and a message saying "Game Change detected" should appear which means it worked. Until I can get pass the above I cannot see if this works.. Now once you're in, you want to open the console again and type in g_force_economy_reset 0. After that, just play and your jobs should be reset. If it occurs again, just complete the whole process again. I will keep this for future reference. I am sure there are many players who have experienced this, and maybe some of the more experienced players of MP, would like to post a fix with screenshots for newbie's like me Thanks Guy's, and Gals.Enjoy your Trucking!